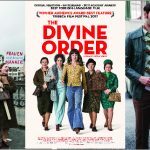 The WSCC hosted the opening night screening of “The Divine Order” December 1, 2017. Director Petra Volpe answered questions after the viewing, treating viewers to her unique director’s perspective and insights. 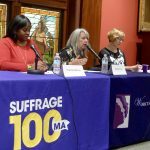 A panel discussion with women in positions of leadership inspired tomorrow’s leaders. 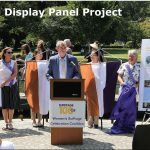 The Women’s Equality Day celebration at the Swan Boats on August 24, 2017 featured the unveiling of the Women’s Suffrage Panels that are on display at the Commonwealth Museum. Secretary of State William Galvin was the keynote speaker. 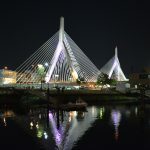 In honor of Women’s Equality Day, the Zakim Bridge was awash in purple, white and gold, and the “BOSTON” lights of City Hall were purple the night of August 26, 2017.